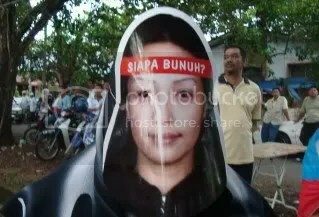 The family of murdered Mongolian model Altantuya Shaariibuu will have to wait for their day in court, to compel the attorney-general (AG) to appeal against Abdul Razak Baginda’s acquittal. The hearing of their judicial application will only continue after further written submissions are made. The matter came up in the Shah Alam High Court today before Judicial Commissioner Noraini Abdul Rahman, but another mention date was set on July 8. This is to allow lawyer Karpal Singh (right), acting for Altantuya’s family, to submit his submission in reply. The case will be mentioned before a deputy registrar on that day. Counsel Sangeet Kaur mentioned the case on behalf of Karpal this morning. Senior federal counsel Kamaluddin Mohd Said represented the AG’s Chambers, while KK Wong appeared for Abdul Razak. Mongolian honorary consul to Malaysia, Syed Abdul Rahman Al Habshi, was also present to monitor the progress of the case. The case was filed on Dec 24 last year by Karpal on behalf of Altantuya’s father Dr Setev Shaariibuu (left). In the application, they asked the court to quash the AG’s decision not to appeal Abdul Razak’s acquittal on an abetment charge in the murder. They also want the court to direct the AG to use his discretionary powers under Article 145 (3) of the federal constitution to apply for leave to file an appeal. Abdul Razak was acquitted and discharged on Oct 31 last year without his defence being called. Shah Alam High Court judge Mohd Zaki Md Yasin had ruled that the prosecution had not proven a prima facie case, as a sworn affidavit by Abdul Razak was not rebutted. Lead prosecutor Tun Abdul Majid Tun Hamzah announced two weeks later that the prosecution would not appeal, as the court had made a finding of fact in its decision. AG Abdul Gani Patail (right) has since filed an affidavit, stating that the matter is non-justiciable based on Article 145 (3) of the constitution, which states that no one can question the chamber’s decision to prosecute or not file an appeal. The article reads that the AG shall have power, exercisable at his discretion, to institute, conduct or discontinue any proceedings for an offence, other than proceedings before a Syariah court, a native court or a court-martial. Abdul Gani had also submitted that Shaariibuu does not have locus standii (legal standing) in the case as the AG has represented the public interest. Two special action squad members – Azilah Hadri, 33, and Sirul Azhar Umar, 37, – have been found guilty of the murder and sentenced to death. They have filed separate appeals. Kamaluddin also stated that Shaariibuu’s RM100 million civil suit against the two policemen, Abdul Razak and the government is fixed for mention next month. The AG’s chambers have requested Shaariibuu to deposit RM1 million in security to cover possible costs in the suit. Insiden kematian seorang pemuda India di Balai Polis Taipan, USJ, Subang Jaya ketika masih ditahan sangat mengejutkan. Kematian Kugan Ananthan 22 tahun mengingatkan kita kepada insiden M. Ulaganathan, juga mati ketika masih ditahan polis. Mahkamah Tinggi Kuala Lumpur memutuskan bahawa kematian M. Ulaganathan adalah disebabkan kecuaian dan pengabaian melampau pihak polis. Berulangnya insiden seperti ini pasti menghakis keyakinan rakyat terhadap kewibawaan pihak polis sebagai sebuah institusi keselamatan. Bagi memastikan keyakinan rakyat dipulihkan, saya menuntut agar sebuah badan siasatan yang bebas dan telus diwujudkan serta merta bagi menyiasat insiden kematian Kugan Ananthan. Foto serta bukti yang menunjukkan adanya kecederaan pada si mati sudah tentu membangkitkan rasa tidak puas hati bukan sahaja kepada keluarga mangsa, malah juga kepada seluruh rakyat Malaysia yang mahukan institusi polis memulihkan kembali kewibawaannya. For six days following A Kugan’s disappearance on Jan 14, his family members had sleepless nights searching for him but it was all in vain. On Jan 20, their worst fears were realised when a patrol car pulled up in front of a relative’s home in Puchong, to inform them that Kugan had died under police custody. “Why? Why couldn’t they just call us when he was arrested? But when he died, they seemed to know how to find our house,” said Kugan’s father G Sandaran when met at his relative’s home in Puchong today. Kugan is the latest victim of death while in police custody, allegedly due to assault. The police had claimed that Kugan was a suspected car thief and there was no foul play involved in his death. Relatives told Malaysiakini that they last saw Kugan on Jan 14 at about 7pm and never heard from him again. His aunt, S Renuga, 31, recalled on that evening she received an anonymous phone call informing her that Kugan had been arrested but details were sketchy. “I could not sleep that night. We searched from one police station to another looking for him but everywhere we went, they said he was not there,” she said. The following morning, Renuga got even more anxious when two plainclothes policemen came to her home at 6am looking for Kugan. “They said they were from D9 (serious crimes unit). They were very fierce and they wanted to know who Kugan’s friends were,” she said, adding that she had no knowledge of the deceased’s friends. Renuga is close to Kugan because the latter frequently visited her husband who was his business partner. Kugan used to help his uncle tows cars for an insurance company. With two jobs to manage, Renuga and Sandaran are both convinced that Kugan had no time for criminal activities, as alleged by the police, especially since the deceased never had a criminal record. “Every sen he earned was legitimate. He has been learning how to fix cars since his secondary school days. His hobby was modifying cars, not stealing them,” said Sandaran. “But now, the first time he was arrested, he was killed,” Renuga was quick to add. Sandaran said he was extremely suspicious because of the numerous injuries found on Kugan’s body and the statements made by Selangor police chief Khalid Abu Bakar. Kugan’s family has ruled out death due to illnesses because he never had any medical conditions. Sandaran vowed to pursue the matter until those responsible for his son’s death are brought to justice, though his immediate concern was to see that a second post-mortem is conducted and burial rites are performed quickly. “I hope this never happens to another Malaysian, especially an Indian. The Indians are the largest number of people who die at the hands of the police,” he said. Sandaran also denied police and media accusations that a ‘mob’ had barged into the Serdang hospital mortuary on Jan 20 to claim Kugan’s body. “They (hospital attendants) opened the door for us. The door can only be opened from the inside,” he said. Khalid had earlier claimed that Kugan died from having ‘fluid in his lungs’ and that his family had barged into the hospital mortuary.